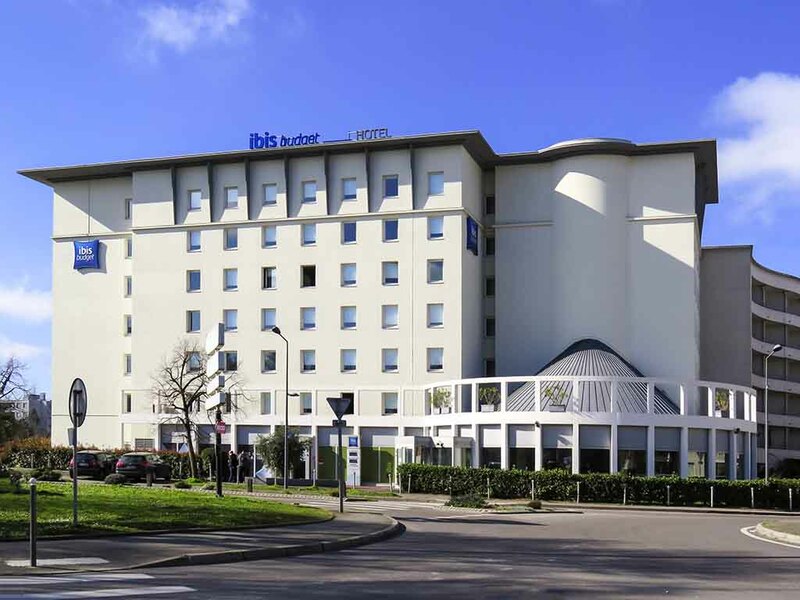 ibis budget Villeurbanne, hotel with budget prices! The entire team welcomes you to the ibis budget hotel in Villeurbanne. ibis budget - the smart choice for both business and leisure travelers! Our modern, comfortable room can accommodate up to 3 people, with a shower, toilet, and flat-screen TV, all at an affordable price. And in the morning, help yourself to our all-you-can-eat buffet breakfast! My stay at IBIS Budget Hotel was pleasant. I am quite satisfied with the room services and the breakfast services. The only thing which needs an improvement is the linguistics of the staff. I respect the nationalism and respect all the french people for their love of their country and the language. But it should also be realized that not every person booking the hotel is a resident of France or knows the French language. At least the receptionist should be proficient in English in order to communicate properly! Overall everything was quite good! Staff mostly pleasant. Room had basic necessities ie bed, toilet shower and also towels. Budget hotel as advertised. The shower and toilet areas were a little strange but very clean. Just an adjustment on our part. Breakfast was fresh but few hot choices. We were used to ibis breakfasts being more of a choice. Very basic budget accommodation for an extra 8 Euros we upgraded to a 3star hotel. I was surprised about the simplicity of the hotel. Everything was designed to fill the highest expectations of low budget travelers, everything was at the same quality level starting from how the room was designed till the breakfast. If this quality level is above your expectations you are happy how you are treated at the front desk, how the room or the restaurant looks like. For me everything was as I was expected. Unfortunately is a little bit far from the city center, but the public transport and the bike rental network is excellent. Beware of this hotel !! Not our favourite Ibis hotel. Parking very limited for higher vehicles and staff not overly friendly. When we visited they were building out the back and the sound of this plus traffic noise was annoying. Room very small and utilitarian.